As specialist liability insurance brokers, we provide orthopaedics consultants liability insurance quotes from our panel of leading insurers and our own specialist underwriting facilities in the United Kingdom. We offer instant on-line competitive quotations for public liability and employers liability insurance, all of which are provided with full premium information and details of the policy cover and any terms and conditions. Our liability insurance team are on hand to assist you with any queries you may have and to work with you to help you obtain our best possible terms for your orthopaedics consultants public liability insurance. What is orthopaedics consultants liability insurance? Liability insurance for orthopaedics consultants protects the policyholder against claims made against them in respect of their legal liability for personal injury or property damage arising during the course of the business. The public liability insurance policy protects the insured against claims from third parties, whereas if you have any employees in the business you will require employers liability insurance to protect you against claims in respect of your legal liability for death, disease or injury arising from their employment. What liability insurance does a orthopaedics consultant need? All businesses should have public liability insurance, although not a legal requirement for most businesses, it is an essential protection for your business. The policy meets the cost of any awards made against you and also pays for your defence costs in respect of any claim. If you have employees then employers liability insurance is a legal requirement for the majority of businesses, more information on who is exempt from the requirements may be found on our main employers liability page. As a professional you may also be interested in medical malpractice insurance for orthopaedic consultants protecting you against claims made against you in respect of your legal liability for breach of professional duty. 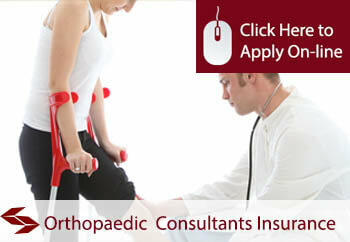 Apply on-line or call direct to discuss your requirements for your orthopaedics consultants liability insurance.